Ear candles are an ancient therapy. The candles are hollow cotton tubes impregnated with beeswax, essential oils and herbs. As the candle burns it creates a light suction action. The impregnated herbs and oils vaporise and gently massage the eardrum. This action helps soften impacted ear wax and to regulate the pressure systems inside the head, such as sinuses. 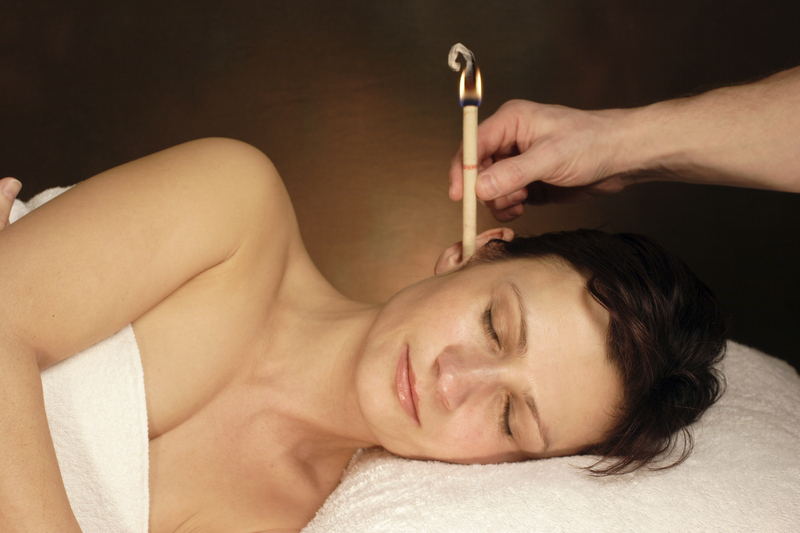 Hopi ear candles are an excellent treatment for a build up of ear wax, tinnitus, sinus problems and headaches. A great alternative to syringing and suitable for children. An hours treatment includes a face and neck massage, stimulating energy points to release tension and improve circulation. Lymphatic and sinus drainage is also carried out.